Posted on Wednesday, March 20th, 2013 at 23:26. 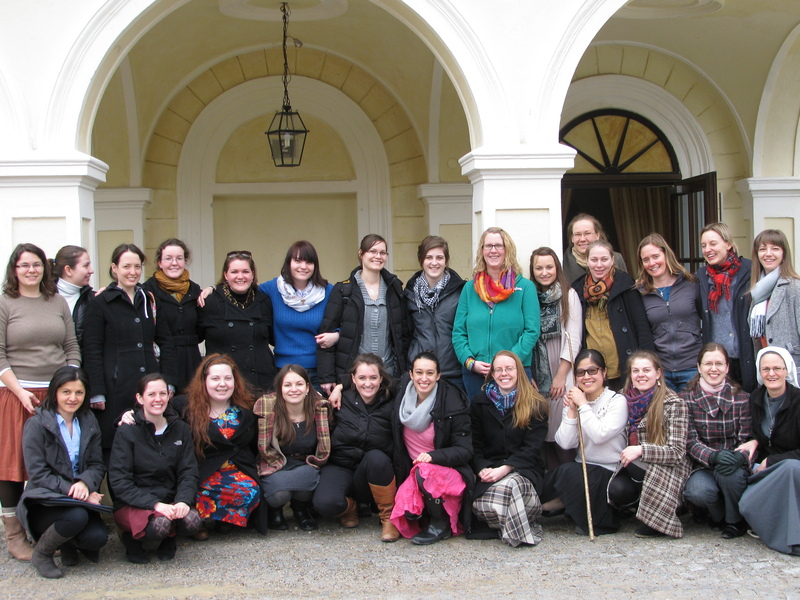 On the weekend of March 8-10th, 25 women from the ITI, single as well as married, attended a silent retreat in Gaming, Austria, in the town’s exquisite 13th-century Carthusian monastery. This town, as well as the Kartause specifically, is special for ITI students as it is the place one of our chaplains, Fr. Juraj Terek, refers to as the ITI’s “nest,” due to the fact that it was the fledgling institute’s first home before moving to its current and permanent home just outside of Vienna. semester abroad program. Focusing on intimacy with Christ, Sr. Monica offered beautiful workshops on developing a deeper understanding of Jesus in the role of husband and, with this understanding, a deeper relationship with him. In addition, she provided lectio divina reflections for individual private prayer, based in the Song of Songs, which many women used during their time of silent Adoration in front of the Blessed Sacrament. Although short, the retreat offered an important time away from the bustle of daily life as students, as well as an opportunity to bond with the other women at the ITI, particularly when coming together for a joyful common brunch after 2 days together in silence. It’s amazing how close a community can be brought together through silence and individual closeness with Christ, as many of the ITI women experienced on the retreat! We hope to see this opportunity for stillness and this special reception of grace become a regular occurrence for the ladies at the ITI. Special thanks for the ITI’s sponsorship of this beautiful weekend!